The last 5 minutes of episode 14 of Cheongdamdong Alice was the best plot development to happen in this drama for the past 6 episodes. It was also what should have happened like 5 episodes ago, which continues to grate that so much time was wasted on pointless filler tension. The entire last 5 episodes was all about keeping the truth from various people, most importantly Seung Jo. I get that, that has some tension worth milking. But it was dragged on and on (with In Hwa’s attempt to video bomb Seung Jo spanning 2 episodes worth of precious time), when really it warranted at most one episode. Let me explain why – this “secret” wasn’t that big a deal. It was a shocker, people will have their perceptions realigned, some hard to deal with things might happen, but it wasn’t some sort of “HOMG, you are married to your long-lost brother” type of axis shifting secret that must be kept AT ALL COSTS. So the drama dragged on something that we all knew was going to come out anyway (and ought to come out for the greater good of everyone going forward without being smushed by the burden of lying) and now we’re two episodes from the end and finally the story gets to the meat of it all. Episode 14 was supposed to be all sad and mopey but instead I laughed and was pretty thrilled. Yoon Joo wins my love forever by being proud of who she is when confronted with horrible hypocrites who has the some motivations as her but act holier than thou. Tommy continues to transform himself into the prototypical understanding and supportive second male lead, though spending an entire episode trying to call people left and right feels like such a waste of a character that had the potential to be more substantively involved in this story. Se Kyung finally FINALLY shows the spitfire spirit she displayed in the early parts of the drama, when she confronted Seung Jo about his hypocrisy when trying to help In Chan, but sadly its too little too late for me to fall back in love with her character. I actually like Seung Jo because he is a really good person inside, but I hate how the drama has emasculated him to the point that he feels like a plot device rather than a relatable character. I love me some beta-male leads but his character is written with such a far-fetched emphasis on his traumatic past and inability to deal that he doesn’t feel even remotely real to me. I guess if I take the Alice in Wonderland theme a step further, if in that story Alice fell in love with the crazy Mad Hatter, this is probably what would have happened. In Hwa shows Seung Jo the video of Se Kyung and Yoon Joo and Seung Jo calmly watches it all. Afterwards he smiles and says in all seriousness why there are two people in that video who look just like people he knows. In Hwa’s like “what the hell?” She asks if he watched clearly and Seung Jo says yes. 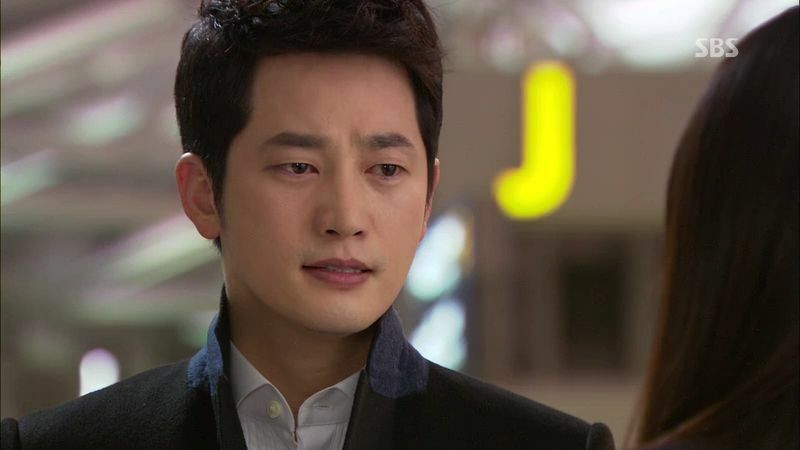 Seung Jo thanks her for the business proposal and ends the meeting. In Hwa wonders if he already knew and intends to keep concealing it. As In Hwa is being driven back to GN Fashion, she keeps wondering how come Seung Jo had no reaction. 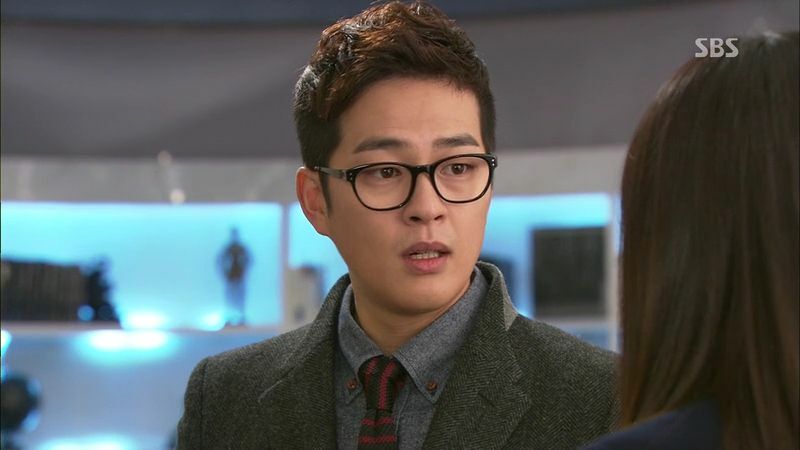 Dong Wook explains that once he learned that Seung Jo had cut off ties with his dad, he returned to Paris but Seung Jo moved out and quit school. He found him 6 months later living in a ramshackle pit and he had let himself go. He lived like that for another year before picking himself back up. Se Kyung asks what Seung Jo would do if faced with another huge shock? Dong Wook says to treat Seung Jo as a ticking time bomb and to never leave his side. Always stay beside him. Seung Jo goes back to his office and sits down with a smile that slowly disappears. He starts to digest what he just learned and his shock and pain are evident in his eyes. Se Kyung leaves Dong Wook’s office and gets a call from Seung Jo. She heads over to his place and walks around inside not seeing him anywhere. Se Kyung finds him in the kitchen pouring wine and sighs in relief. She asks what this is for? 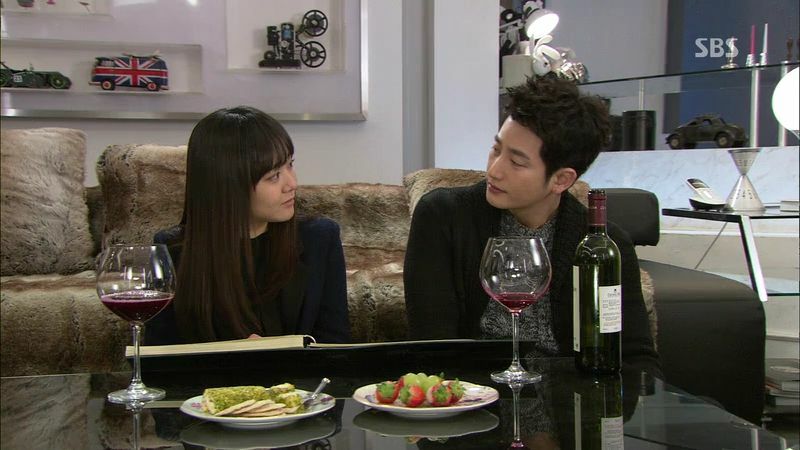 Seung Jo ordered wine from the small French town he told her about. They toast and he takes a sip and smiles while she stares at him. Tommy gets a call from his spy at the meeting ended at Artemis and Seung Jo left work like usual. He seemed fine and in a good mood. Yoon Joo wonders if In Hwa didn’t say anything? Perhaps she changed her mind? Yoon Joo intends to go check. When Yoon Joo gets back to work, she sees In Hwa storm into her office and slam the door. Yoon Joo finds out the meeting ended but In Hwa didn’t get the reaction she wanted. In Hwa walks out and Yoon Joo whispers to her, asking directly if she told Seung Jo? In Hwa smirks and says Jean Thierry Cha is a piece of work, but how long he can hold it in, no one knows? Yoon Joo rushes off to call Tommy and confirm that In Hwa told Seung Jo. Tommy is upset to hear this. Se Kyung flips through childhood pictures of Seung Jo, saying that he was a handsome boy and is still very handsome now. They turn and stare at each other. Se Kyung can tell something is off but Seung Jo says nothing and goes off to grab another bottle of wine. Se Kyung gets a call from Tommy and goes to the bathroom to answer. 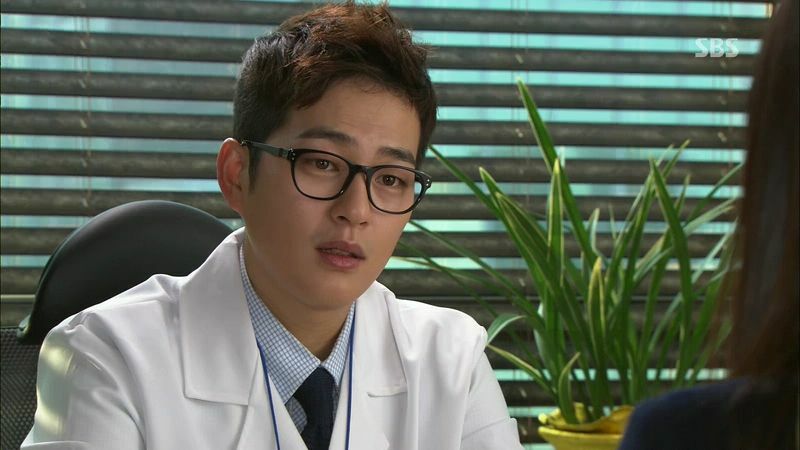 He urgently asks if anything happened and reveals that Seung Jo knows everything, In Hwa told him today. Se Kyung’s world spins and she drops the phone and sinks to the ground. She remembers Seung Jo greeting her with a smile and how Dong Wook told her Seung Jo deals with trauma by pretending it didn’t happen. Seung Jo calls out for Se Kyung, worried about her in the bathroom for so long. Se Kyung tells Tommy she can’t talk anymore and walks out of the bathroom. 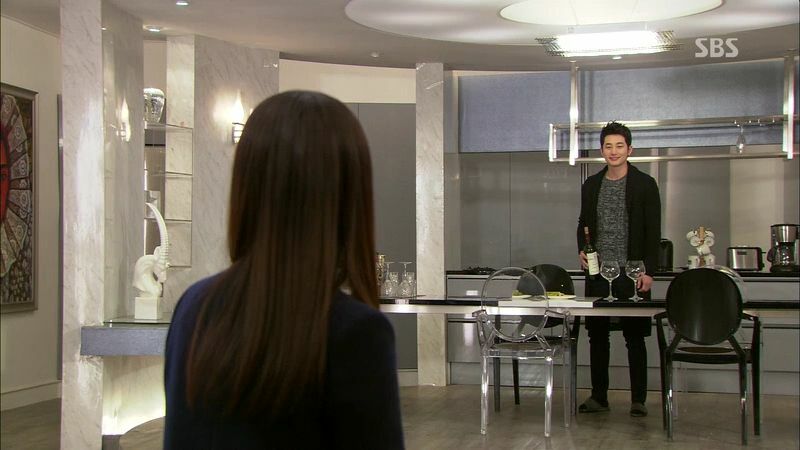 She finds Seung Jo opening another bottle of wine and slowly walks towards him. He asks her to come over because he has something to say to her. Starting tomorrow they will be busy picking locations, wedding dress, buying a house, preparing invitations, he wants her to not be stressed and take it one at a time. Se Kyung looks stricken but musters up a smile for him. Tommy is with Yoon Joo and he’s trying to reach Se Kyung but her phone is turned off. 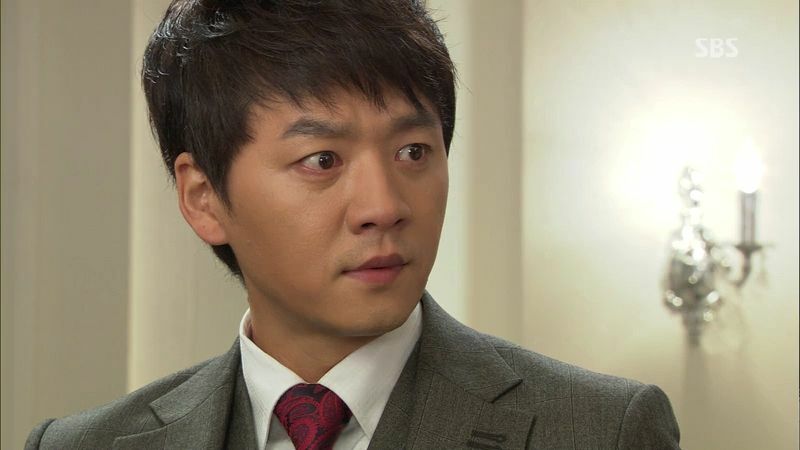 Tommy wonders if Seung Jo is berating Se Kyung right now, or acting like nothing happened. He wonders why Yoon Joo isn’t even worried and Yoon Joo says Se Kyung chose this path so she has to deal with the consequences. Man, I’m really appreciating Yoon Joo’s character more and more. Se Kyung sits beside Seung Jo who has nodded off right on the sofa. She cries and then puts him to bed. She remembers his dad telling her to stick by Seung Jo her entire life and never let him know the truth so that she can unburden her soul. She holds his hand and says that she will take responsibility. Even if it ends now, she will face it head on and not run away from responsibility. Seung Jo wakes up the next morning and remembers seeing Se Kyung in the video and In Hwa saying that it’s not two people who look the same. He hears noises from the kitchen and walks out to find Se Kyung has prepared breakfast for him. She slept on the sofa last night and laughs at his lightweight tolerance falling asleep after drinking so little. They sit down for breakfast and she asks if he slept well. He says yes. Se Kyung brings up how Seung Jo claimed he was not a prince but instead a coward. Se Kyung says Seung Jo is not a coward but he doesn’t need to always show her his best side. Se Kyung is about to tell Seung Jo everything when he cuts her off and says with a smile that he has something to show her today. When Se Kyung and Seung Jo arrive at the altar, an imaginary priest appears and they exchange their vows and pretend rings. When it comes time to ask if anyone has any objections to this union, Se Kyung finally has enough of this farce and tries to say something. Se Kyung tells Seung Jo that he needs to listen carefully to what she has to say. She is about to say she lied to him when his face turns and he warns her to not say a single word. If she talks he will kill her (this is the Korean metaphorical way of warning someone). Suddenly the imaginary priest and family and friends all disappear. Seung Jo warns her again not to say anything, to pretend that nothing happened. Se Kyung’s eyes fill with tears. He tells her that nothing will change. Se Kyung cries and says that she is sorry. She was wrong, he did nothing wrong, it was all her fault. So can he please stop tormenting himself. He doesn’t need to face anything because this is all her fault and her responsibility to bear. She’ll be the one to go to hell. 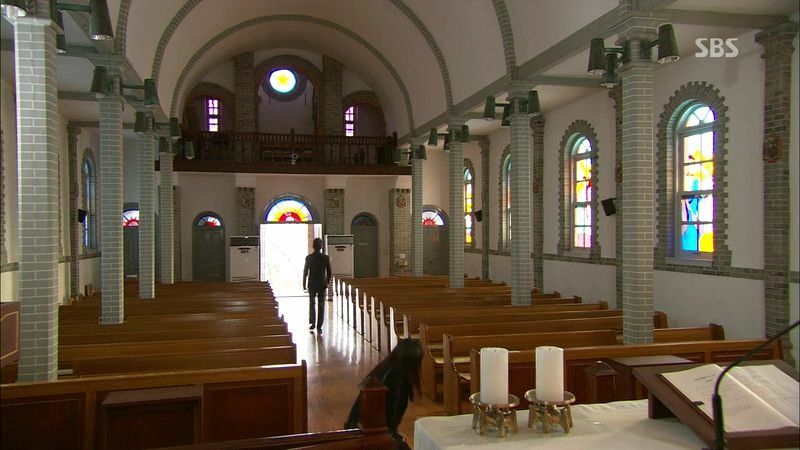 Seung Jo cries and says she ruined it all before turning and walking out of the church. Se Kyung sinks to the ground at the altar and sobs her guts out. 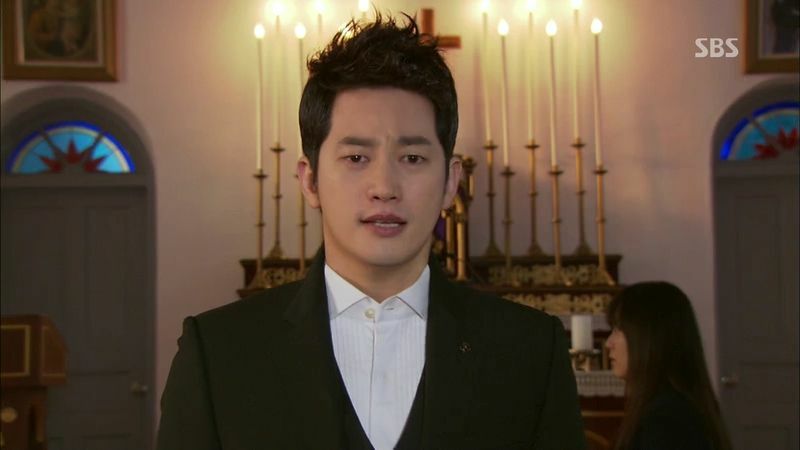 Seung Jo walks out of that church without looking back once, getting into his car and driving off. Se Kyung wipes her tears and runs after him but he’s gone already. Great, just ditch your fiancee at some random church. Se Kyung calls Seung Jo but he doesn’t pick up his phone. She keeps calling and he pulls over to look at her picture. He appears to want to answer but then the call ends. He cries and cries in the car. Se Kyung calls Dong Wook and asks him to help find Seung Jo. They rush to Seung Jo’s apartment but he’s not there and his phone has been turned off. Se Kyung asks Dong Wook to wait in the apartment in case Seung Jo comes back. She find Secretary Moon but he’s not at the office either. Everyone wonders what happened and she promises to explain later when he’s found. 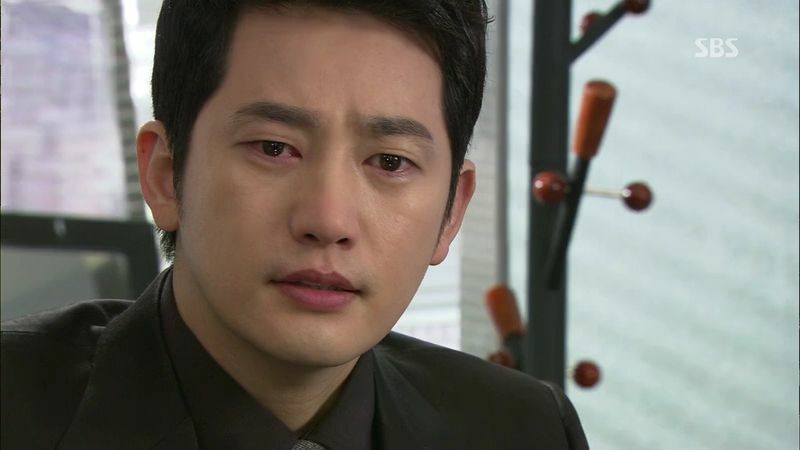 Seung Jo’s dad is also told that he’s gone missing. Seung Jo’s dad calls Se Kyung in and rages at her, demanding to know why she didn’t stop him from leaving. She should have claimed In Hwa manufactured everything and she didn’t do anything wrong. 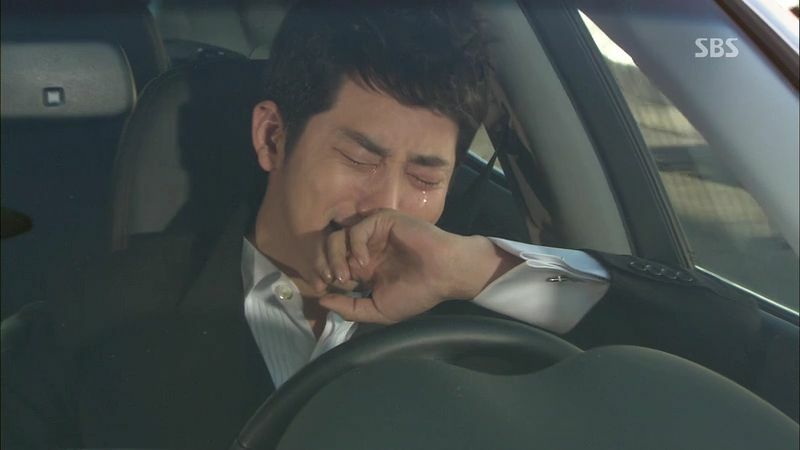 He tells her to find Seung Jo no matter what and bring him home. Se Kyung quietly says yes. Se Kyung remembers about Seung Jo’s painting hanging in the gallery and rushes there and finds out Seung Jo came by today. The painting has been moved and Seung Jo went to see it. Seung Jo’s dad has notified the cops to look for Seung Jo as well. He’s told the meeting with GN Fashion is about to start. 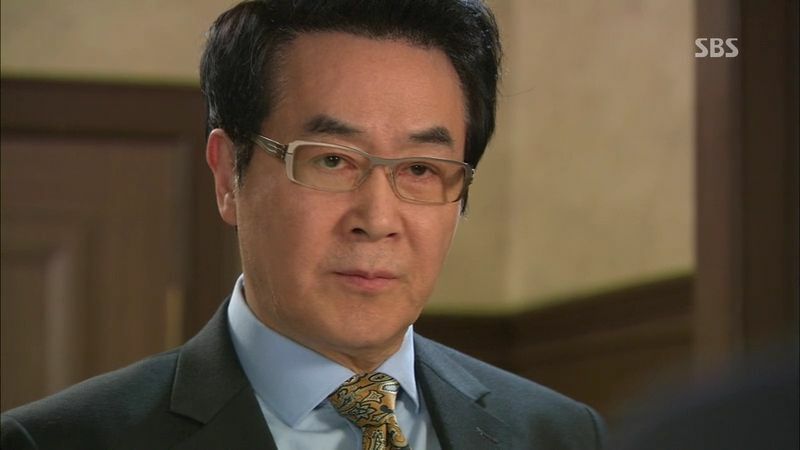 Seung Jo’s dad walks into the meeting with GN Fashion and says Seung Jo won’t be coming and this project is over. Royal will not be working with GN Fashion anymore and he pointedly looks at Shin In Hwa and says she knows exactly why. After he leaves, her dad and brother turn to her and ask what the hell happened? In Hwa says she will explain on the way home. Yoon Joo tells her brother that In Hwa told Seung Jo already and he worries that Min Hyuk will know soon. Yoon Joo is very calm and says she will call him later. Madam Shin comes home and tells Yoon Joo that Royal won’t work with them anymore. Everyone else comes home and Yoon Joo composes herself and goes to join them. The elevator door opens and Yoon Joo sees that In Hwa has the tablet in hand. Everyone goes inside and In Hwa drops the bomb on the entire Shin family. Everyone watches in horror but President Shin tells In Hwa to turn it off! Madam Shin gets up and splashes water on Yoon Joo, saying that she should not have been allowed into this house with her dubious background and greedy ways. She’s ruined two families and brought embarrassment to them all. Min Hyuk gets up and tells Yoon Joo to speak privately with him. Once alone, President Shin rakes In Hwa over the coals for doing something so thoughtless. Madam Shin tries to defend her daughter but In Hwa gets a clue and says even if they get rid of Yoon Joo from their family, Se Kyung’s situation had to be concealed at all costs. President Shin says of course, a billion dollar deal was ruined over her inability to control her hurt feelings. In Hwa says they forced her, even if her marriage to Cha Seung Jo was aborted they still had to bow their heads to him. President Shin says In Hwa lost and in business she needs to learn what is a loss that she has to endure in order to succeed at the bigger picture. Min Hyuk asks Yoon Joo if this was what she tried to tell him? Did she think he wouldn’t kick her out if she told him first? 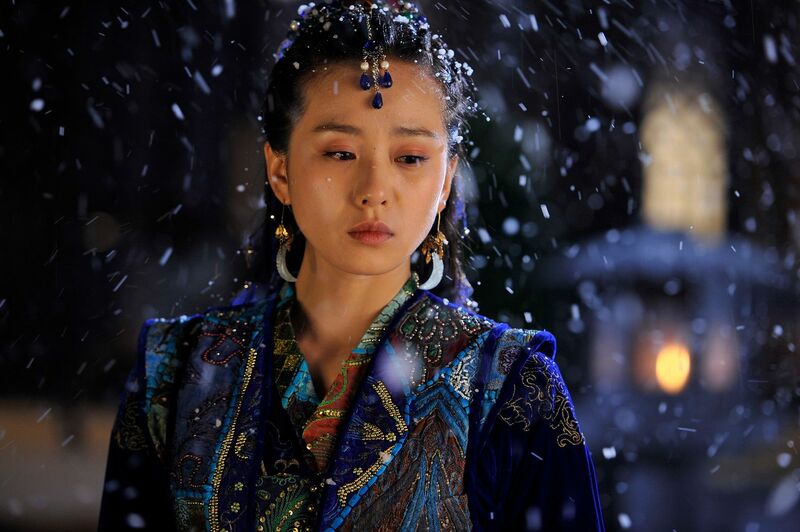 Did she plan to endure In Hwa, Seung Jo, her past marriage, all to stay with Min Hyuk. Yoon Joo cries but says nothing to all that. She finally speaks up and asks what is important now? Does he want a divorce? Min Hyuk says yes, the marriage wasn’t important to her. She liked him not because of his personality or looks, she just needed someone to protect her in this harsh world. He knew that actually, but now its just too blatant. Min Hyuk is about to leave and Yoon Joo says that she really intended to protect what they had. She wanted to protect and treat well the person who was protecting her. She wanted to be good to him. She wanted to do well by him. She did everything she could to protect this all. She cries and Min Hyuk does look affected by what she is saying but he still walks out. I love that Yoon Joo held her head high through this all. Go girl! In Hwa is out walking and runs into Yoon Joo leaving the apartment. The two women meet each other’s eyes but this time In Hwa doesn’t smirk like some mean girl in junior high. Madam Shin wants the divorce immediately and Yoon Joo doesn’t get a penny. President Shin says not yet, they need to win back Royal and Artemis and the only way is through Yoon Joo, who is friends with Se Kyung. Min Hyuk says he doesn’t intend to end it like this either. Yoon Joo walks through her massive closet and dispassionately surveys everything. 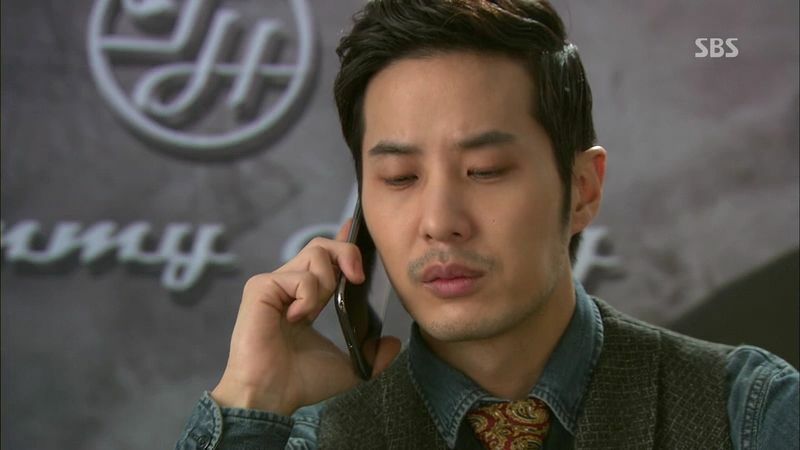 She gets a call from Tommy and finds out that Se Kyung can’t be reached. Yoon Joo says its game over for all three of them. Her family found out and the deal is over between the three companies. Se Kyung ought to be over, too. Se Kyung heads to the second gallery and finds Seung Jo’s painting hanging on the wall and learns that he was just by a few hours ago. Se Kyung continues her “run around Seoul like a crazy woman in search of Seung Jo” mission, narrowly avoiding getting run over by a car. Tommy finally reaches her and worriedly asks if she’s alright? Se Kyung reveals that Seung Jo has disappeared and he tells her to wait for him. She just says over and over again that Seung Jo is gone. Jesus, he’s not like a lost dog or anything. He’s a grown man. Tommy manages to track down Se Kyung on the streets of Cheongdamdong. She wanders off to look for him, crying that there is still so much she wants to do for him and so much she needs to show him. Tommy gives her a sympathetic look and suggests they check his apartment. He might intend to leave but he’s still the President of Artemis Korea and can’t just ditch everything. They rush to Seung Jo’s apartment and finds it still empty. Se Kyung imagines him waiting for her in the kitchen but its just an illusion. Tommy waits outside for her. Dude, pick this guy instead. Se Kyung finds the picture she drew of Paris and remembers that Seung Jo is great at running away. She gets a call from Secretary Moon that Seung Jo may be leaving the country and returning to Paris because his travel bag is gone. Se Kyung and Tommy rush off to the airport. 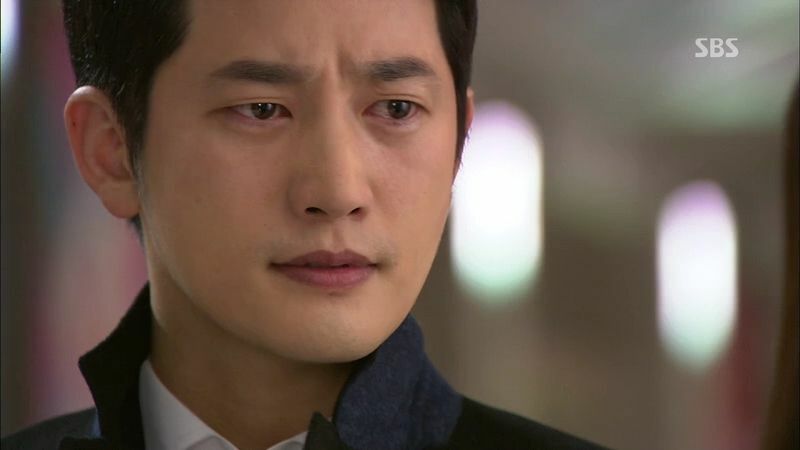 Seung Jo is at the airport and remembers being here last time with Se Kyung and their promise to go to Paris together. Tommy and Se Kyung arrive at the airport and rush towards the gate where Seung Jo is currently waiting to go through customs. Se Kyung finds Seung Jo right before he walks through and she rushes over and literally drags him out of line. He shakes her off and asks what she is doing since its all over. They can’t return to the way it was before. He wanted to forget but he is once again like an idiot. Everywhere he looks she’s all around him. Even though he wants to ignore the truth she still forced him to confront reality. So it would be best if she disappeared from his eyes. Se Kyung points out that he’ll just pretend that she’s away and he can just pretend he’s on vacation. Seung Jo says love can end and he can be abandoned by the person he loves. So from now on, there is no Han Se Kyung in his life. Se Kyung walks way but Se Kyung pulls him back. Se Kyung tells Seung Jo that if he wants to end their relationship, it needs to be done properly. He cannot run away. Seung Jo says he ended it but Se Kyung says no, its not over. She wants to show him her true self and not the ideal version of her that he’s constructed. If after that he still wants to leave, then fine. He’s shown her everything about him, now its her turn. Where is the love? I don’t care what Cheongdamdong Alice was marketed as (and it was horribly marketed to begin with), this story whether as a rom-com or a melodrama or a societal expose was premised on a love story driving the narrative. I don’t see or feel a love story anymore. 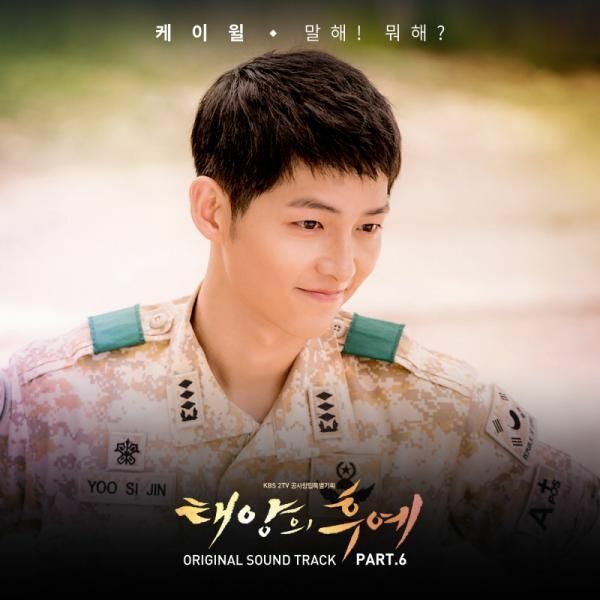 Yes, the characters talk about love – but Seung Jo discusses it as some type of ideal projection while Se Kyung has taken love beyond the romantic into the nurturing and sacrificial side. I feel like this drama barely allowed the OTP to have any romance before they were plunged into a farcical courtship resulting in a rushed engagement and predicated on a marriage built on keeping key realities from one person. That’s not romantic at all, and the way the drama sets it all up doesn’t feel realistic either. It’s not like we’re trading one for the other, we’re just losing out on both. Seung Jo’s love-starved life resulting in his PTSD from Yoon Joo dumping him is really a stretch to begin with, even more so considering he’s fully functioning everywhere else, such as running a multi-million dollar subsidiary of a billion dollar international conglomerate. Nowadays CEOs are often asked to pass critical mental tests (and some are even required to see a psychiatrist) before being hired to such positions. It’s really shoddy writing to portray Seung Jo as so emotionally fragile he’ll snap to learn that Se Kyung isn’t perfect (and really her failings and lies towards him are really not that big of a deal) yet ask us to accept that he’s perfectly fine in all other aspects. It’s not impossible, but highly improbable. Which leads to this story getting stretched to the edges of credulity in order to sustain a very flimsy narrative. I also am pretty irritated with Seung Jo’s “I and Me” reaction to everything. The moment he’s faced with the truth, he shuts down and everything is about his own emotional hurts and fears. What about Se Kyung? Didn’t he say he loved her? Does he understand what it means to love someone? Obviously not, as Yoon Joo as pointed out before to him. He puts himself above the feelings of the woman he professes to love, and then holds her to unrealistic standards that she can’t help but fail. Se Kyung did not set out to seduce Seung Jo knowing he was rich. She did intend to marry rich and it was by a series of coincidences, which he perpetuated himself, that led to them falling for each other. She merely continued the pretense a bit longer but that is hardly some unforgivable transgression. Faced with the same golddigger shaming, I’m so proud Yoon Joo held her head high and didn’t let those horrible rich tools make her feel ashamed. I like to believe In Hwa and Min Hyuk might wake up and realize their own double-standards, but I’m not holding out hope. I’m looking forward to the final two episodes so that I can say I finished the drama, plus all the pointless running in circles has finally ended so what’s to come should be satisfying and exciting. But CA really let me down from its early potential-filled start and for that I am really sad this drama couldn’t execute on its own interesting set up. A time bomb & a hand grenade . I think a farmhouse in the outskirts of Seoul or better yet , outskirts of Paris would do them both good. They can detonate there. Talk or scream till the cows come home. No outside communication but gallons of wine & other yummy french grub. Long Talks & walks. Fly in Dong Wook for couple therapy. Sigh I doubt we’re gonna be treated to some french scenes wt great korean cinematography though. But I can still wish . Digressed. I find Tommy’s all consuming concern & preoccupation a bit too.much. Doesnt he have a biz to run?? But I guess its heartwarming for Se Kyung to have someone in the know, on her side since her close gal pal isnt. For all his professed love and adoration, Seung Jo seems coldly & clinically able to just write her off, Im curiouser & curiouser to see how he’s gonna come back to a level of loving close to where he left off. In reality, it will be like a vase glued back together with hairline cracks ,ready to come apart wt future provocation. Ah but its Kdrama so Im expecting my unreal but forseeable Happily Ever After. That’ll do it for me. Thanks for the recap Koala! You are great! I didn’t like watching this episode at all. It was all angst but no real satisfaction to any of the revelations. We were made to think of In Hwa as this amazingly capable and shrew business woman, who then throws away multi-million collaboration so that she could soothe her ego? Come on! Her family was also amazingly unbelievably COLD – no one is much concerned about anything else except to salvage the deal with the Royal Group – doesn’t matter if your daughter is one crazed B, your son’s marriage is in trouble, oh no…your daughter-in-law still has some use (“we can deal with her later”), WTH?! SJ’s reaction was as expected, super childish. Do the writers expect us to believe that such an immature and irresponsible individual was picked to head a multi-million conglomerate in Korea? Ya right. When your fiancee tells you she has done wrong, you say “now you go and spoil it all ….by telling me the truth?” Er….yes! SK’s “confession” to SJ was no big shakes either. But I wonder how does one move from here? “Look, you have shown me what you are….now let me show you want I am…” er how? It’s not as if you could show a movie of your life – you are expecting a person so totally hurt and who feels so betrayed by you to stand in the same room as you to give you a chance to show what you are? How does one move forward in such a relationship? So SJ spends time with SK, what how does SJ (who can’t tell fantasy from reality) accept what is real and not from SK at this point? Even if she were sincere, then what? The writers have really messed up here. I wonder what can save the story now? Even though the wake-up call came a bit late….I still appreciate that they do have one, I was worried that SJ and SK was going to get married without the beans being spilled. This episode was wonderful to me, SK tenacity is a force to behold…I love how she digs her heel in when she decides on something (in this case, wake up SJ from his fantasy land and insert reality into it, however painful it might be). The next 2 episodes is going to be exciting to watch. Totally agree, this show went off tangent. I am sticking to it because i am curious about Yoon Joo…I started off disliking her actions, now i am rooting for her to get her own happiness. As for SK AND SJ….i don’t know…they story is made into something that is grandeur. Everyone has an agenda when they are looking for the right person…it is called having your standards and a making list. They are making a mountain out of a mole hill which is just frustrating, especially In hwa…really girl, cool your horse. Pft, i know that i want to marry someone rich…but you are not going to see me weave my way through so that that person doesn’t know and I am not going make unwanted, elaborated plan with others to keep him from knowing. I will even let him know then are there, “hey i do like you for your money, but you are nice and cure too.” This show started off with high potential, now I just want it to end. Let me just see a freaking happy ending. I like your blog a lot… Thank you for all the recaps. 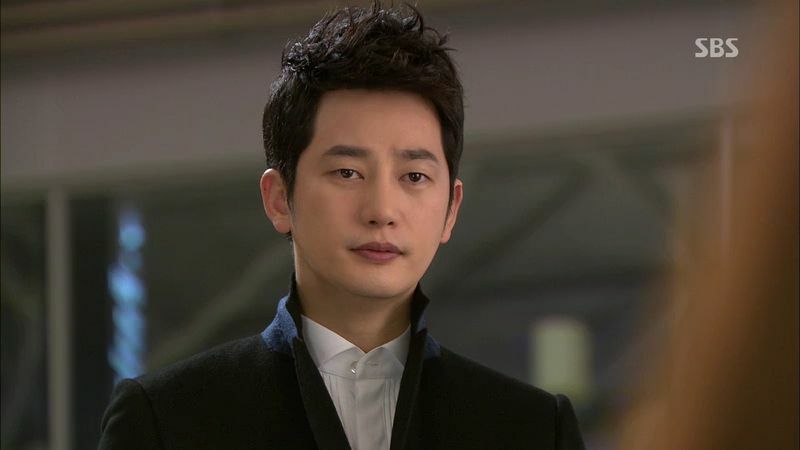 I like every episode of Alice in Cheongdamdong. And I hope that they will end up together not just because they look good together but because of there imperfection that make them perfect for each other. It is good that revelations are done before the wedding so that when they really get married only true LOVE remains inside there peaceful HEARTS. I really appreciate the writer of this television novel. It is great! Somehow, I ship this couple. There were definitely moments of confusion/disappointment with the plot but now what I see is a couple perfect for each other. If they solve all the issues of the past, overlook each other’s faults, then they surely can be happy together, and would be able to make up for each other’s imperfections. The entire last 5 episodes should just be replaced by last 5 minutes of episode 14. 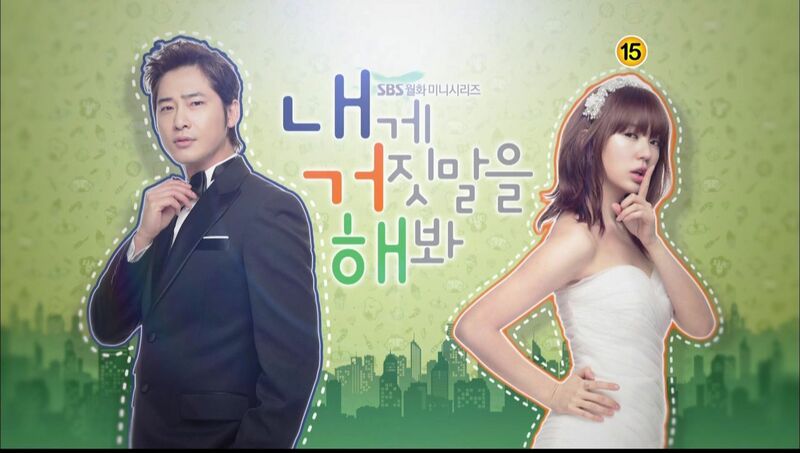 Just like many Korean dramas,Cheongdamdong Alice is fun in the beginning but gets boring as the episodes drag on. WOOHOO. Love how SeKyung is not afraid to confront reality. This is not the best romance drama but certainly gives depth into people who run away from reality like SeungJo. SeKyung is what SeungJo exactly needed at this moment – someone who can bring SeungJo back into reality, someone who is not afraid to show every bit and piece of her heart to him, and someone who GIVES HIM the choice of abandonship, instead of abandoning him. come back to your senses and love her for who she is. Just be a happy couple. I don’t think his reaction was terrible all things considered (now that I know the I’ll kill you wasn’t literal that is), but I think all of this should have happened a long time ago. The love line is pretty dead for me right now. I don’t see how the can possibly fix it in two episodes. I’m also saddened the side characters became so unimportant. Yoon Joo is the most compelling character in this story right now. She’s one thing I think they did well. they fell in love so earlier in the drama that i could not feel the love between them….that was the major reason that i stopped watching the show…good that i did…. I still love our otp and I do feel like they love each other but I don’t necessary see it. However, I personally am liking se kyung even more after this episode and am liking seung Jo a lot less. At this point, I almost want sk to leave seung Jo cause he’s really not ready to love her like he should. He’s selfish in his love which is hardly love at all. Except I give him pass because he is ill and I truly believe that sk can help him get out from under that if he were to let her support him in that way, plus therapy. I can believe that she is the one who can help him when yoon joo could not. But seriously, if he was illness, I would’ve slap him upside the head already. He is a good person who has done some bad things and she also is a good person who has done some bad things too. So what in the world makes him any different from her in that respect. If he cannot understand that to love someone means that you forgive them for the things that they have done, and he can’t forgive her then, he doesn’t deserve her. I feel that she loves him a lot and she would be willing to do a lot of things for him. It just drives me so crazy how his character is written. At first, it seemed like sj would follow sk and that she was really manipulating him but I think more and more, he has been the one that is controlling her. * oops, I mean if he wasn’t ill, then I would have slapped him upside the head. agree to all your points. i think he will forgive her, just like sk forgave him when he showed all his bad points (whether or not that was also because of her own guilt). I think SJ’s reaction is classic, from denial and shock to anger and running away. The drama continues to challenge societal norms based on class and now we have two camps – us (poor, talented, sticking together, lying but trying to atone for sins) and them (arrogant, closed-off, entitled, powerful, having no remorse is squishing those below). SJ’s daddy was great in this episode and I loved watching In Hwa’s family scrambling in panic to save their business deal. YJ at this point has nothing to lose and she finally can show her intellect and spirit. I am glad she stopped playing an obedient wife and daughter-in-law who kissed collective family asses. She too questions if the marital love was real or if it was all pretense, a contract on both sides. I like the complexity of the drama. Disagree that what the characters are doing makes no sense. Tommy is more engaged because this is his chance to feel human again. SJ’s daddy is learning how to be a father from SK’s dad. In Hwa gets an ugly reflection in the mirror. Everyone is changing, except for the doctor because he is just absolutely perfect. I really like your reference to Alice in Wonderful when relating to this drama. I mean first off they did name this drama Cheongdamdong Alice, which in a sense would mean she is like the character Alice in Wonderland where she enters a world unknown or unlike to one she is used to and has to make choices. In Alice in wonderland, Alice first start off also making all the wrong choice. Whether it is drinking from the different bottles of potions to whether or not to listen to the caterpillars advise. Same goes here with this Alice. She also starts off making the wrong kind of decisions even though her heart was in a good place. Then as she travels through the road she has chosen she also comes to realize that she would have to grow up and face the consequences of each choice. As to the reference of Seung-Jo to being the mad hatter. He is really like that character which is wild and weird and creates a world of their own liking. I just hope that this drama finishes off with a reasonable good and relating ending wrapping up all the loose ends. omg only 2 ep left and its hitting the climax! he need some serious mental help and healing. he never really healed himself and she’s there to help him face reality but with only 2 ep left? maybe they should of extend? idk but i hope everything will turn out perfect! Well… all I got to say is, it was worth skipping a few episodes for ep 14!! The $#!% has hit the fan so now it’s clean up time!! “Dude, pick this guy instead” o’boy, i agree with that. Tho a few episodes ago, i’d like to punch his face to a pulp. you know what, i always admire you becuz of your words.. even sometimes we have some different thoughts but for me, you’re still a good blogger..
just like this Alice’s recap, i have my own thought but when i read your comment on it, i smile.. becuz you’re not a hater, you gave your own opinion.. who cares if some people here disagree.. Wonderfully insightful as usual. I kept trying to see the real romance and the real people through all the little screenwriting machinations and script uber-plotting. It was hard. I’ve been just reading recaps. I’ll probably watch the last episode, but I so wanted an actual story. I feel the story let me down. Man is a complex creature. How he responses to life’s stimuli depends, most of the time, largely on his emotional state. Man is vulnerable to being hurt by other people, whether intentionally or not. And when hurt, he is apt to retaliate to protect and avenge himself. He tends to think of revenge, and to react and respond to that hurt by striking back, an eye for an eye, thinking that in doing so justice has been dispensed. He thinks that by hurting the person(s) who hurt him will make him feel good to see the “hurter” suffer as he/she made him suffer. This is Seung Jo. The thought of exacting vengeance from the people who have caused him so much pain and misery is the driving force that propelled him to survive his darkest hours. But in his deluded desire for retaliation he has lost himself. He might have experience satisfaction for the payback but this is short-lived. 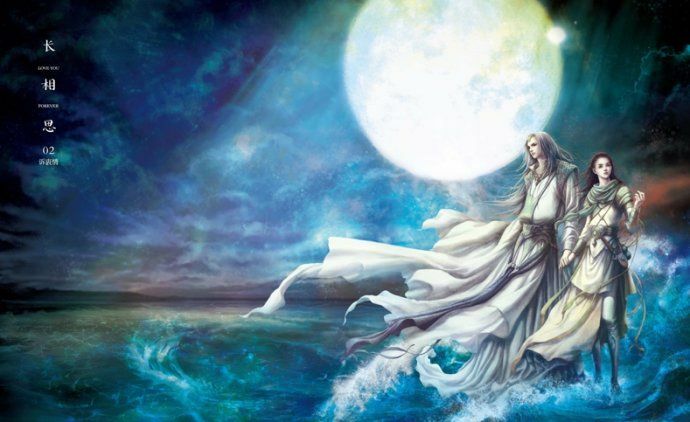 In his solitary moments he drowns himself with the “happiness” and “satisfaction” but these are not real and this act erodes his sense of well-being and peace. To an outsider, he is a man of poise, of confidence, of success. Deep inside, he is a total wreck. And so, as a coping mechanism, he builds himself a world of make-believe. And this is where he has placed himself and Se Kyung. When SK smashes his make-believe world by making him see reality he is enraged with disappointment. She has ruined his world. Once again, SJ is hurt. And his natural instinct is to run away from reality. It is understandable where SJ’s outrage with reality is coming from. The past can hurt. You can either run from it or learn from it. However, by living in self-denial, by hanging on to the hurt, with anger, bitterness and resentment he is harming himself more. He has to acknowledge the hurt, express the pain, and heal himself completely by forgiving those who hurt him, release the pain and let go of the bitter experience. Most of all, he has to forgive himself, because subconsciously he is blaming himself, too. Only then can he start anew. thanks for clarifying what “i will kill you” means. when i first saw the show, i was scared hahaha. i was even scared when she was alone with him in his condo. 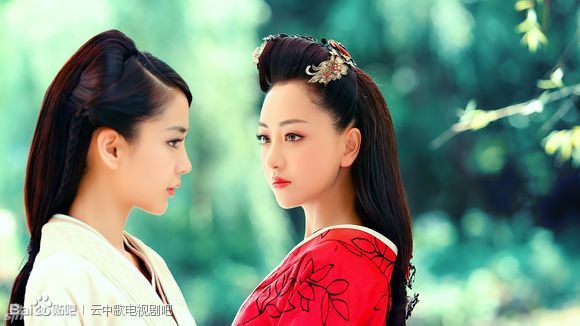 As a whole, I liked this drama. For me, there were some scenes where the comprehension of the dialogue between CSJ and SK wasn’t too clear (due to the subbing). Also, there were times that it bordered on silliness (CSJ’s portrayal-I don’t mean this in a negative way), yet I concluded that some humor did help to tone down the seriousness throughout many of the scenes, and he had such a beautiful smile to carry it out! One scene that kind of jolted me was when SK confessed to CSJ after he told her not to tell him and his response was that he would kill her!!! Those aren’t light words by no means at all! Regardless whether its a Korean way or whoever’s way of warning a person; all sorts of red flags and red flashing buzzers of ‘do not proceed in this relationship’ warnings immediately went off in my mind! If this was reality, I would tell SK point blank…girl, now is the time for you to take that trip to Paris by yourself and don’t look back! Thanks for these. I find the hour-long episodes a bit much especially when all this bad stuff is happening. So I gave up and wanted to just read summaries. It’s not even *just* a pacing or plotting issue, seems to be almost part of the style for Korean Dramas and I am not a patient viewer. I half agree with your editorial comments and half don’t. I *never* felt the love between the two leads. They seem like a really strange pair that don’t match at all. While sometimes they are sweet together and I like them both separately there’s always been something really off about them together. I root for them–but only in principle. Speak of which, this show has done a really good job talking about principles. I am engaged by that. The hypocrisy of status. The disillusionment that accompanies adulthood. The moral ambiguity of real people. Whether it’s possible to remain true to your values when they objectively have no value to anyone but you. And the amount all 4 lead actors express with just their eyes is really well done. How many different ways of crying have they done!